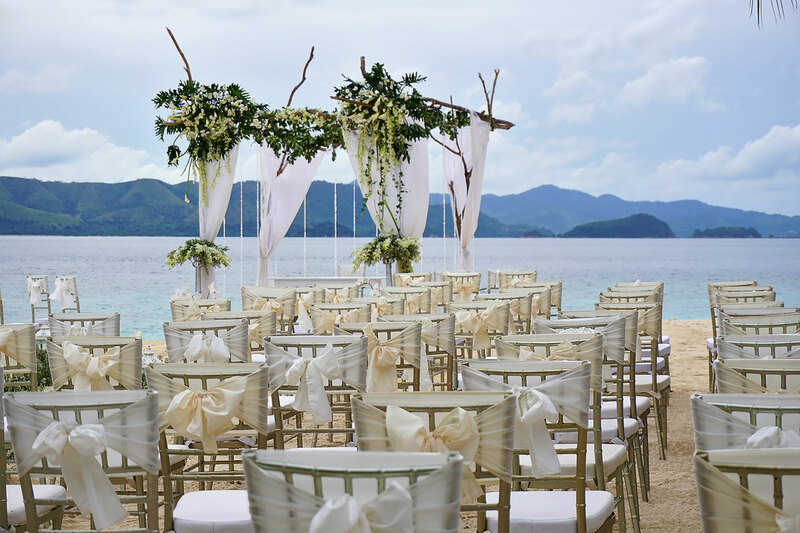 Club Paradise Palawan offers bespoke service in an island setting and an incomparable backdrop for a truly memorable celebration. A tropical oasis perfect for a destination wedding for couples seeking the utmost in privacy and intimacy. 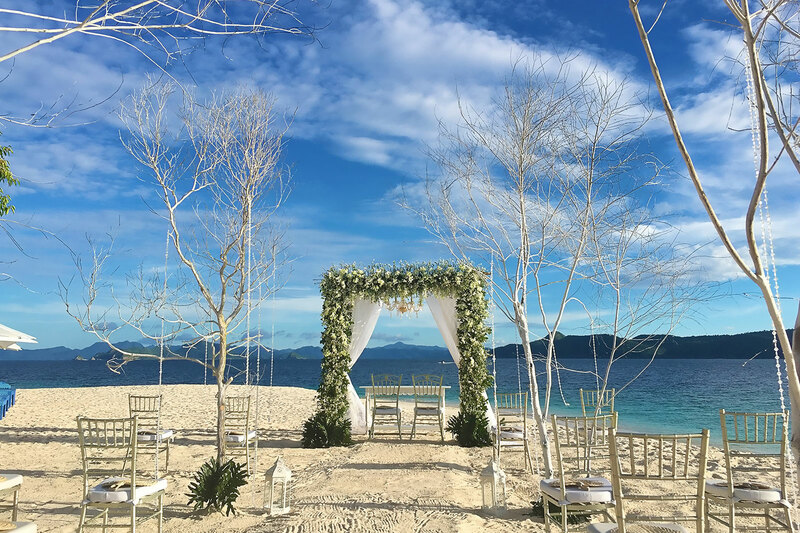 Coron, situated in the northern part of Palawan in the Philippines, is becoming one of the most sought after wedding destinations in the archipelago. 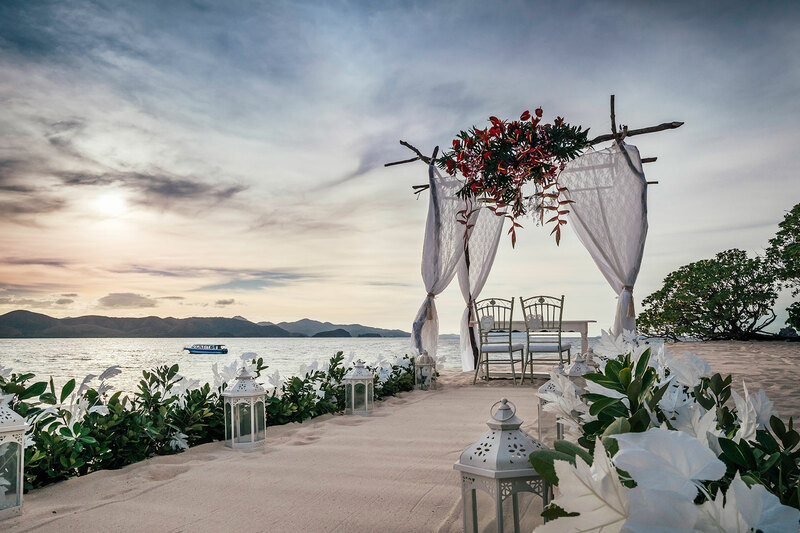 Club Paradise Palawan, located in Dimakya Island, a beautiful island in Coron, is without a doubt a perfect venue for private island weddings. 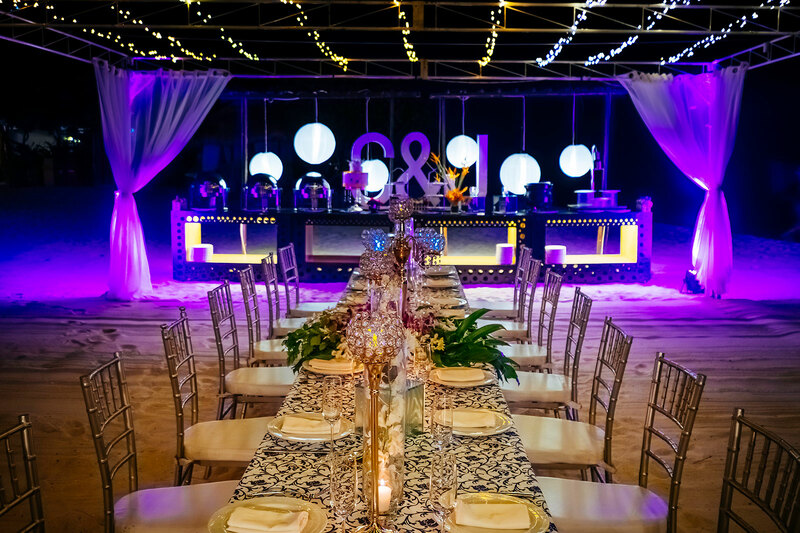 Club Paradise Palawan’s expansive beachfront area is an ideal space to create enchanting wedding setups and floral arrangements. 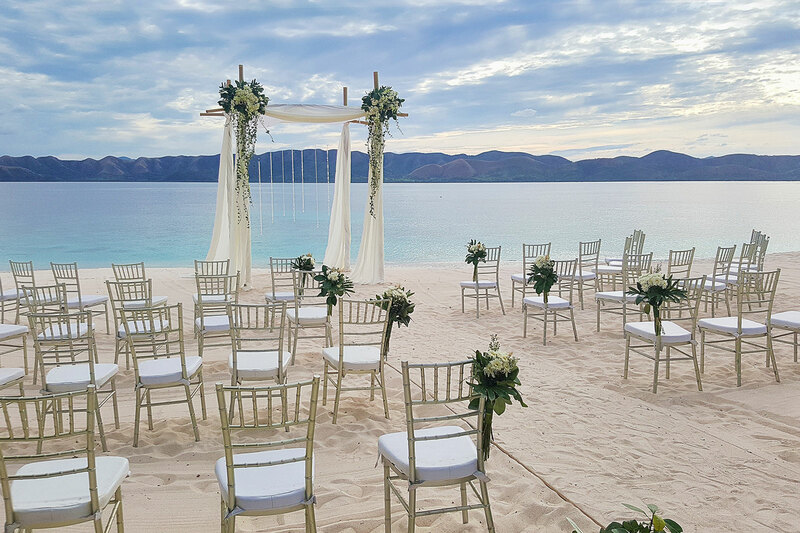 Likewise, the magnificent view of Coron makes an excellent backdrop for a spectacular beach island wedding. Club Paradise Palawan offers four various suite categories namely the Garden Suite, Garden View Room, Sunrise Villa and Sunset Villa. All suites are air-conditioned and are equipped with the finest room amenities. The Villas offer a veranda with hammock – an ideal space to relax and unwind while enjoying the marvellous view of Coron. Club Paradise Palawan offers two types of wedding packages. Rates are subject to 12% VAT, 10% service charge. Valid for weddings until December 2019.